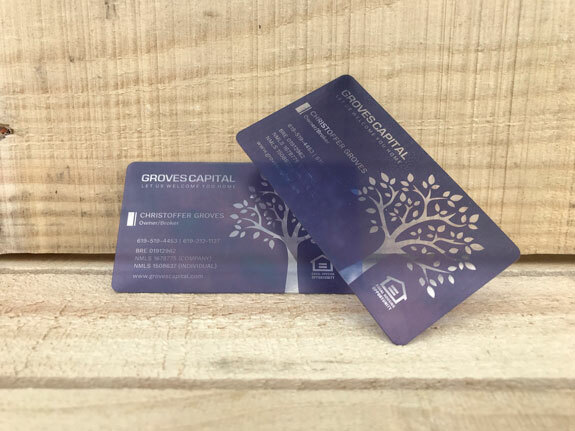 1.5" x 3.5"1.75" x 3.5" (Slim)2" x 3.5"2.125" x 3.375"2.5" x 2.5"
NOTE: WE DO NOT PRINT IN WHITE. ALL IMAGES AND TEXT CONTAINING WHITE INK WILL BE CLEAR. 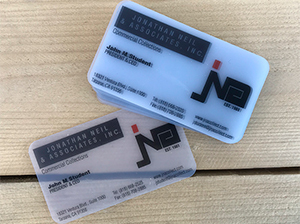 Clear plastic business cards are a unique way to represent your company. 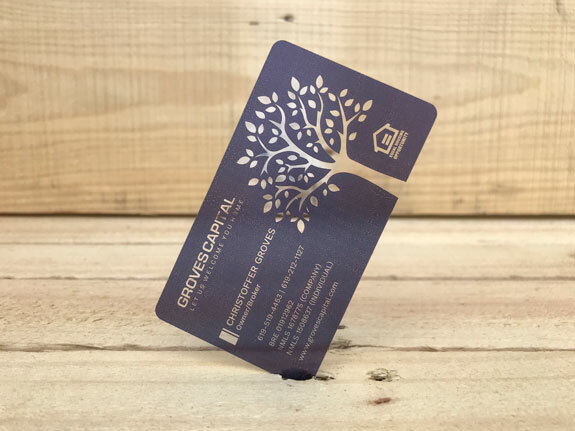 Your company logo and information will look like it's floating in mid-air. 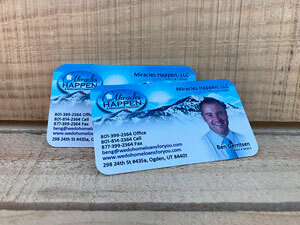 Create an impact with your customers that make them remember you. 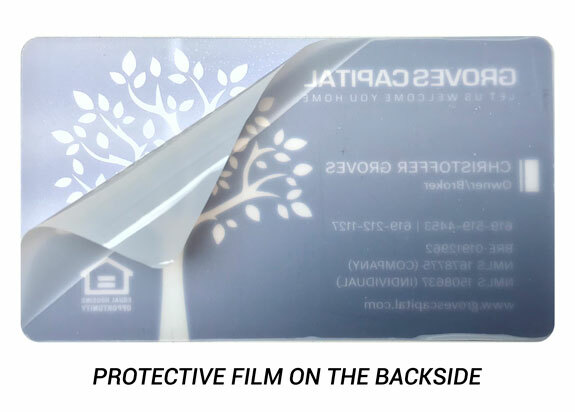 Clear plastic business cards are made out of durable plastic, you have no worries that your customers will accidentally ruin them. 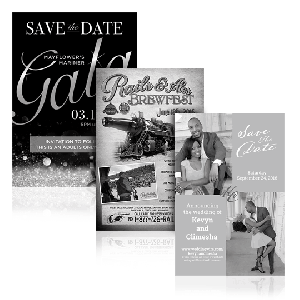 ► Request a FREE Sample Kit to feel the Thick Premium 20 pt. Clear Plastic.